The tried and true SMH-10 has received a overdue update in the form of the Sena 10S. The slimmer profile hides a leap in technology, as the 10S enriches your riding experience by adding communication with up to four riders via crystal-clear HD audio, up to 1.6 km (1 mile) away, through the One Touch Group Intercom. The universal intercom feature allows you to communicate with Sena and non-Sena communicators alike. Stunning HD quality sound is a hallmark of the 10S, and so is Sena’s Advanced Noise Control that ensures ambient noise doesn’t interfere with incoming and outgoing audio. Bluetooth 4.1 technology, improved stereo Bluetooth speakers, and advanced architecture creates a smooth, crisp, and responsive user experience you’ll love. The Sena Smartphone App makes configuring your 10S a snap! Change settings, set groups of intercom friends, and access a Quick Guide. You can also set up your 10S to pair with up to two mobile phones for convenient hands-free calling. Note: Only use the supplied Sena cigarette charger. Great product. Easy to use and setup with other riders. Very easy install. Love this product. The install on the 10S was fairly easy and straight forward on my Bell Qualifier DLX with the optional mounting bracket. Nice and low profile design. The sound quality for radio, navigation, and streaming music is fantastic. Even at WOT on my Victory, I can still hear it just fine. The only downside is the audio quality of phone calls. For some reason, anyone calling me sounds like they are screaming in my ear and I have to adjust the volume to nearly nothing to be able to deal. Feature to hear calls over an F16 engine next to my face? All in all, good purchase. Have the other Sena unit for the half helmet and this one works just as well. Used it in Daytona (Bike Week) for 3 days worked great communicating with my friend as we rode over 700 miles. 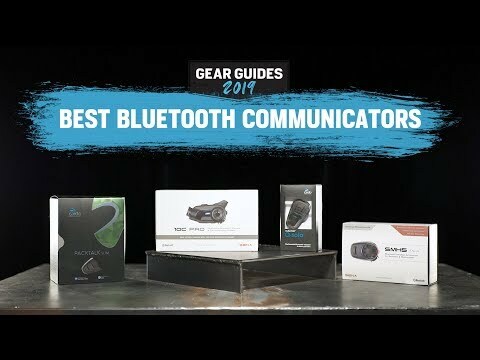 This was my first bluetooth/communication device and i am satisfied with the quality of it. The sound from the speakers that it comes with is not exceptional - not much depth/bass to it, but it works great none the less. I wrecked and landed on my left side and this thing slammed into/slid on the pavement and still works. I landed so hard i broke my collarbone and toe, yet this thing, when i got up still worked, even with deep gouges on its dial.. I've since upgraded to a 10c Pro for the added camera functionality though. I bought this system about a year ago or so back, I really wasnt too thrilled about the installation, but then again it was my first one, so I kind of learned from a clerk in a motorcycle dealership. Now minus the the sound volume from the music portion of the bluetooth, everything else is remarkable. The volume for the music for me is just not loud enough and I'd hope it could be fixed, I'm thinking of upgrading. I purchased this to use on a four state trip to allow my family to keep in touch with me. I ended up using my stock, cabled harley boom box setup. I was unimpressed with voice quality and loudness. Maybe it was a setup/user issue, but for me the built in system is heads and shoulders above the Sena 10S in terms of clarity and ease of use. take cell phone calls and listen to music. Gave my boyfriend the SMH-10, upgraded to this. Looks better, works the same. Fits with the Bell Mag 9 helmet and is an upgrade from the SMH 10. To communicate with another rider who also has one. I have one and it works great. Needed a second for the wife. Great for hearing music and talking on the phone with out taking off my helmet. Needed a 2nd unit for a new helmet and I like the FM radio and updated speakers. Overall it's better than the SHM10. 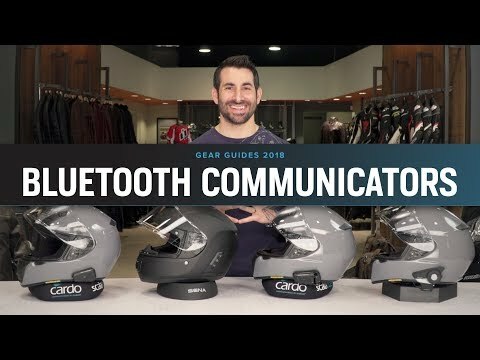 I wanted a Bluetooth system and I thought this was a really good product to purchase. After doing some research and reading almost 5 star review, I decided to go with this Bluetooth headset. So far what a great purchase. Sounds great, speakers were tough to install but there were other alternatives. I love this product. Would recommend to all. Market leader, and the experience has proven why: fantastic product! I already own a paired set of these but needed another so a family member could share in the conversation. We haven't tried every feature yet but I can say the sound quality is very nice, the radio and conversations sound great and the radio presets work well. The jog dial works well too. I figured out that in order to change stations, you press the jog wheel and turn it slightly. So far, no problems so I'm sure this extra one will work just as well. It has the best speakers Sena has to offer. I'm hoping that they'll be good enough to listen to music on the freeway. Excellent reviews and video details about the product. Ratings said everything about this, and I'll never be with more people for the upper model to make sense. Looking forward to installing! Communicate with other riders and listen to music. Had success with Sena products before. One of my friends recently bought and loves it. We will be traveling to Montana this summer and the ability to talk will easy the long miles. I've had this for a few weeks and used it on a 1000 mile trip linked to my phone (GPS/Phone/MP3). Simple to install & generally works great. I wish the volume was higher & more bass. Some "softer" songs were difficult to hear at high speeds. I'm sure the helmet matters but I could here callers clearly and they said I was amazingly clear at 70mph. I will probably go with ear buds eventually to improve both the volume of music and bass. Sena is leading the way in helmet communicators and this model fit what I wanted perfectly. HD sound quality, sleek design, and the ability to pair with a small group of friends! To talk while riding in groups. I often ride with friends who all use the smh10. I got the 10s for the improved Bluetooth and speaker quality. I've been using the smh-10 for a couple years. It has been great! I went for the slim version this time around and I couldn't be happier. Great battery life, distance, sounds, fitment. Sena has been a good brand and they keep getting better. 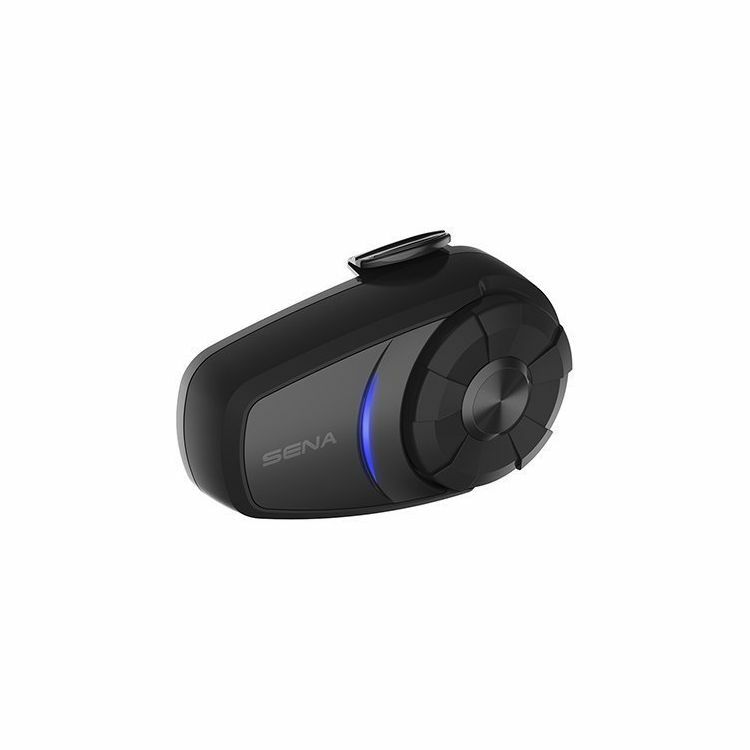 I have the original Sena 10 and love it except for what I consider mediocre sound quality. 2) will the new 10s latch into the original 10 mount? BEST ANSWER: The HD sound quality on the 10S is a big improvement from the SMH10. The 10S is compatible with the clamp kit for the SMH10 but you will not get the same audio quality as you would with the 10S clamp kit. Yes the sound is quite a bit better. Unfortunately no the 10s is more like the 20s it uses its own clamp mount. BEST ANSWER: Yes - If your listening to music you can have your other riders let them hear your music. If they talk into the mic, that overrides the music so you can hear what there saying. The mounting on this looks similar to the SMH10. Am I too hopeful to ask....will it fit the existing SMH10 mountings that I already have in all my helmets? BEST ANSWER: According to Sena customer service, it will work with Bell Mag 9 helmets so it should work with regular helmet mounts. See below. Yes, the new 10S module is compatible with the SMH10 helmet clamp for the Bell mag 9. Thank you and that's good news! DId it fit right in? I have a bell qualifier DLX that has the same cutout as the mag9. Wondering if I can get away without getting a different mount/clamp. Will the 10s work on a bell mag 9 helmet will it use the bell adapter? BEST ANSWER: There are two ways to mount the 10s on a helmet, one or the other should work on a Bell helmet. What is the IP rating for water and dust for the Sena 10s?? BEST ANSWER: Manual simply says "Water resistant". Can I use my own ear buds with this? BEST ANSWER: There is an earbud port on the front of the mount, so obviously you can plug earbuds into the mount. I called SENA customer service (in April 2016) to ask whether leaving the speakers uninstalled in any way affected the operation of the intercom (I wondered, for example, whether the speaker wires acted as an antenna for the FM radio. I was told that leaving the speakers uninstalled in no way affected the unit's operation, and that the speaker wires were not an antenna. Can i buy additional mounts for other helmets? Are the speakers the same as a 20s? BEST ANSWER: Yes. The speakers are the same as the 20S. I believe they are the same, and are garbage for listening you music IMO. I recommend upgrading with Tork Xpro speakers if you intend to listen to music a lot, they are incredible. the old sm 10 was not compatible with harley infotainment system via bluetooth, is this newer version capable of pairing wit the harley system? BEST ANSWER: I just bought a new 10s and have not had any luck pairing to my new Harley triglide. The bike pairs with my phone and works with the Harley provided wired headset. But so far the new 10s doesn't work with my new harley. You can if you buy a Sena Freewire. Does it have music sharing? If sharing with passenger, can you still communicate with intercom? If it doesn't have music sharing and we have separate music sources, can we communicate through intercom without having to manually stop/start the music? BEST ANSWER: Yes, can share with your passenger. Works well.